1. Soak the dal for 1 hour. 3. Add the cucumber, carrot, coconut, cabbage and beetroot to the dal. 4. Add salt and green chillies. 6. Just before serving, add lemon juice and mix. 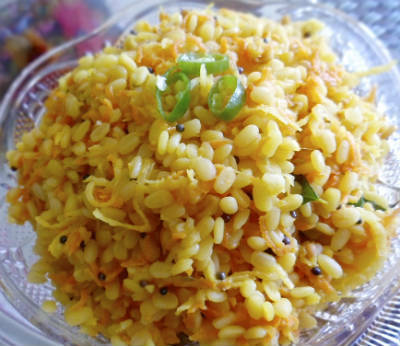 Feel free to comment or share your thoughts on this Moong Dal Kosumalli Recipe from Awesome Cuisine.